Watch author and entrepreneur Khuram Malik talk about his book Billion Dollar Muslim on Thursday, 14 March 2019. Khuram Malik joined us to discuss his book Billion Dollar Muslim with Ahmed Uddin. 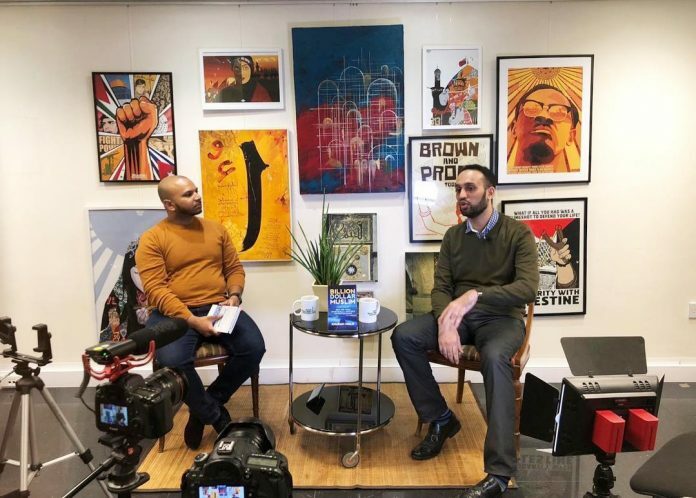 Khuram talked about the provocative title, saying his aim is to change people’s relationship with money as it is usually associated with vanity, lust and fear. There is a myth that entrepreneurship promotes consumerism and materialism, rather it is a tool to give back to the Muslim community and offer services that did not exist beforehand. Questions asked were around why Muslims are scared to venture into entrepreneurship, the reasons why some pockets of the Muslim community have been financially successful, Muslims in the NGO sector and the Prophet Muhammad’s (saw) role in establishing markets alongside building a masjid. Khuram implored discussions on jobs, housing and schooling need to take place and he wants to encourage entrepreneurship, self-learning and education beyond school because it raises the dignity of the Ummah. Khuram went on to explain that the world we live in is created by entrepreneurs; it is a capitalist society that promotes the idea that someone has to lose in order for you to gain. The barakah of Islamic entrepreneurship is that if an individual wins, their brother also wins. And if the world is not the way we want it to be, choose entrepreneurship to change it; it solves a problem, which serves humanity, and serving the creation is serving God Almighty. Follow us on Instagram and Twitter – @ihrcbookshop – to keep updated with future events like this!